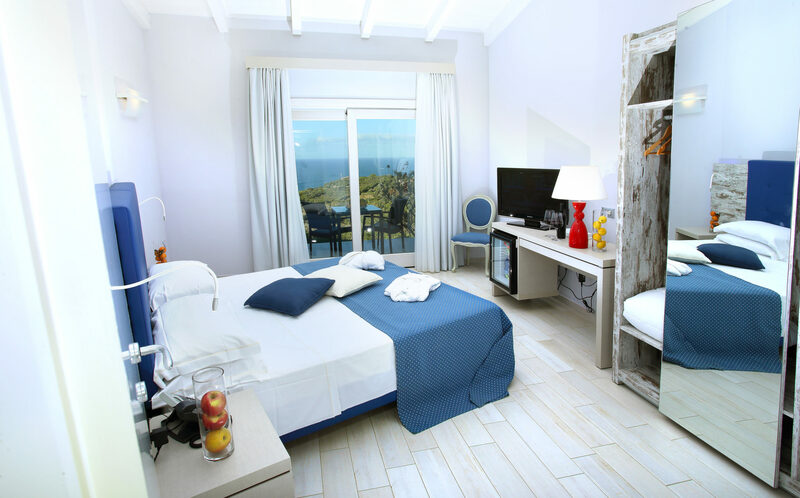 Equipped with every imaginable comfort, Bajaloglia Resort is the ideal hotel option in Castelsardo if you are looking to recharge both body and soul. 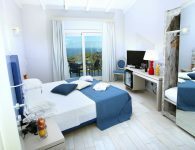 Surrounded by myrtle trees, prickly pear trees and mastic shrubs, the hotel plays host to intimate relaxation areas with white cushions and drapes that make it easy to get away from it all as you sip a fine wine, admire the sea, marvel at the sunsets. The sea shines silver and gold, the sail boats float in the distance, pushed forward by the light breeze. 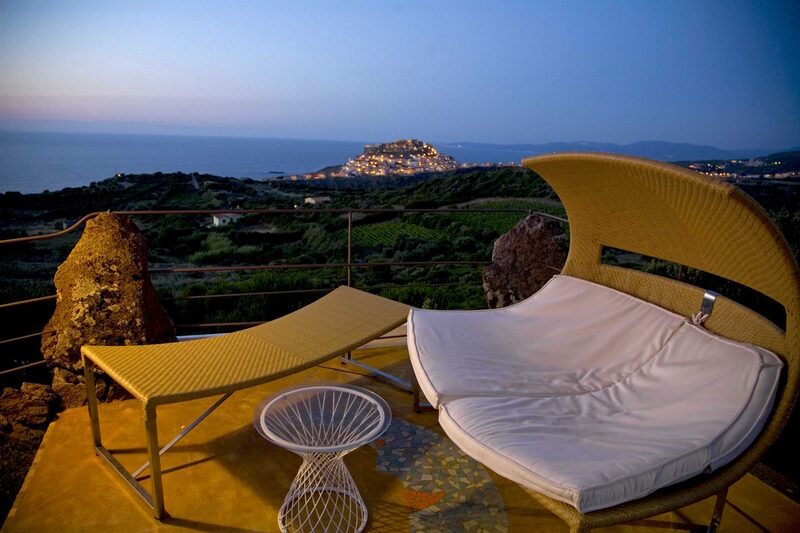 Comfortable sunloungers and chaise lounges are on hand to allow you to be pampered by the soft rays of the sun. Cocktails and fresh fruit are always available to quench your thirst during the long summer days. 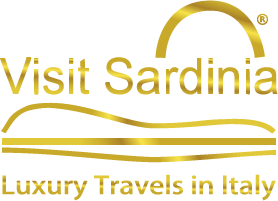 In the evening, a bottle of wonderful local white wine or spumante will delight your senses and prepare you for the magical night ahead. 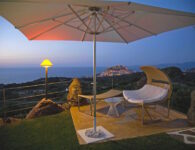 This truly is the ideal place in which to spend your holiday on the Italian island of Sardinia. 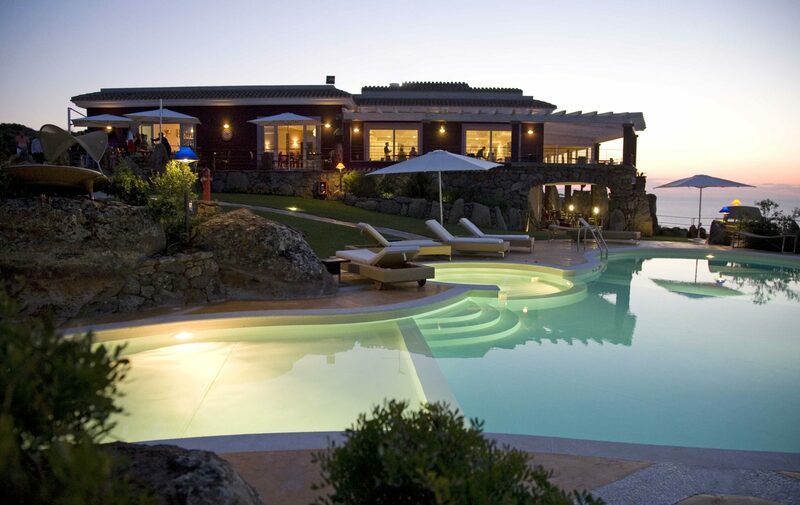 The Bajaloglia Resort is an oasis of wellbeing and relaxation, where the fragrance of Mediterranean maquis delights the senses, the medieval village of Castelsardo provides a breathtaking backdrop and the Doria Castle displays its majestic beauty. 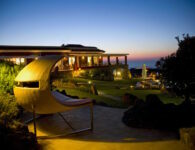 The sinuous valleys and hillsides are complemented by the clear waters of the Gulf of Asinara. 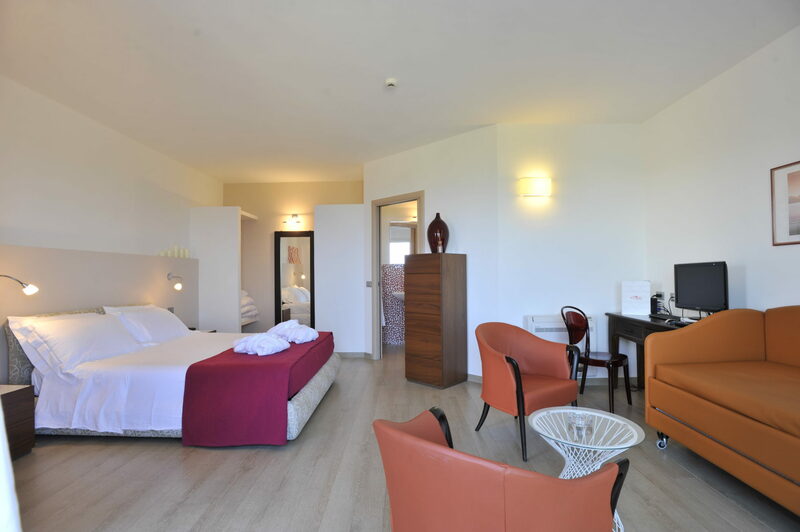 Equipped with every imaginable comfort, Bajaloglia Resort is the ideal hotel option in Castelsardo if you are looking to recharge both body and soul. 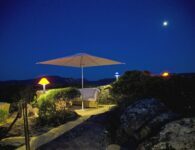 Surrounded by myrtle trees, prickly pear trees and mastic shrubs, the hotel plays host to intimate relaxation areas with white cushions and drapes that make it easy to get away from it all as you sip a fine wine, admire the sea, marvel at the sunsets, chat to your friends and fellow guests or even pen a declaration of undying love. 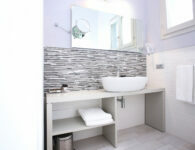 The bathrooms come complete with a circular column shower, a hairdryer and a cosmetic mirror. A glass patio door provides access to the private terrace, which features a table and chairs. The intimate terrace is the perfect place in which to savour the fragrance of the Mediterranean maquis and marvel at the delightful sea view. A glass patio door provides access to the private terrace, which plays host to a table and chairs. The intimate terrace is the ideal place in which to savour the fragrance of the Mediterranean maquis and marvel at the delightful sea view. 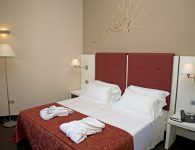 The bathrooms come complete with a hydromassage tub or shower (Corallo and Stella Marina rooms) or a spacious shower (La Conchiglia and L’Ippocampo rooms), and also feature a hairdryer, a cosmetic mirror and a courtesy toiletry set. 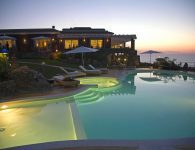 Superfice di 50 mq Una luminosa porta finestra apre l’accesso al terrazzo privato, provvisto di sedie e tavolo, un luogo intimo e ideale per respirare l’aria inebriante della macchia mediterranea e godere della piacevole vista sul mare di Castelsardo. I bagni sono dotati di: doccia idromassaggio con essenze profumate, asciugacapelli, specchio da toilette ingrandente e set di cortesia, kit accappatoio + telo mare/piscina. Balcone attrezzato con tavolo e poltroncine su giardinetto. 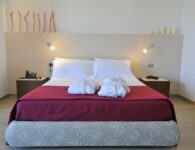 Dotate di vasca o doccia con idromassaggio con essenze profumate, frigo bar free, terrazzo con tavolo e poltroncine, vista mare e sul borgo medievale di Castelsardo, telo mare/piscina, 2 cuscini aggiuntivi, comfort e relax. 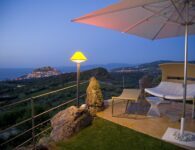 Una luminosa porta finestra apre l’accesso al terrazzo privato, un luogo intimo e ideale per respirare l’aria inebriante della macchia mediterranea e godere della piacevole vista sul mare di Castelsardo. I bagni sono dotati di vasca o doccia idromassaggio o doccia spaziosa con essenze profumate, asciugacapelli, specchio da toilette ingrandente e set di cortesia. Balcone vista mare atrezzato con tavolo e poltroncine. 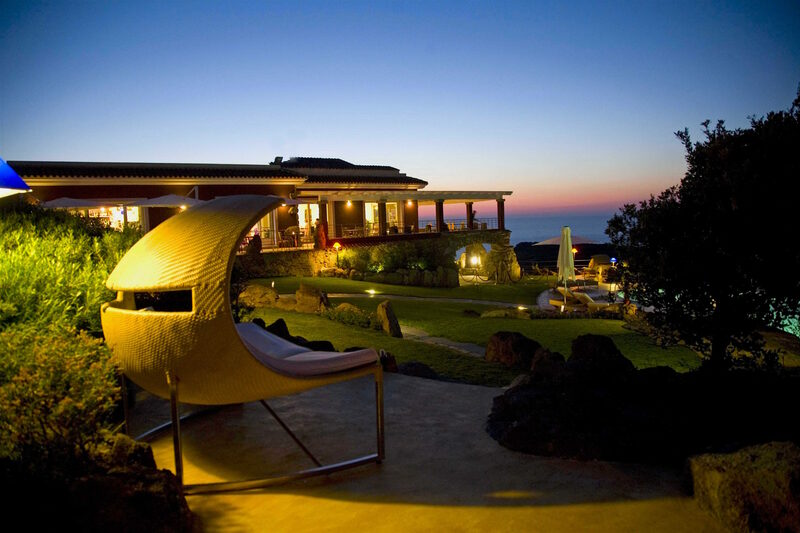 Una luminosa porta finestra apre l’accesso al terrazzo privato, provvisto di sedie e tavolo, un luogo intimo e ideale per respirare l’aria inebriante della macchia mediterranea e godere della piacevole vista sul mare di Castelsardo. I bagni sono dotati di: doccia idromassaggio con essenze profumate, asciugacapelli, specchio da toilette ingrandente e set di cortesia, kit accappatoio + telo mare/piscina. Balcone attrezzato con tavolo e poltroncine su giardinetto. 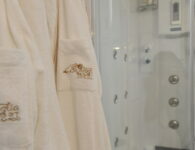 The Bajaloglia Resort’s Ristorante L’Incantu has a concept of gastronomy that is very much bound up with the authenticity of the seasonal local produce and is geared squarely towards satisfying even the most exacting of palates. The à la carte menu offers up a plethora of dishes that are rich in flavour, tradition, experience and creativity. The refinement of the cuisine served up at Ristorante L’Incantu is complemented by a unique wine list – the fruit of a painstaking selection that gives diners access to the very best regional and national wines. The restaurant reinterprets traditional architectural elements in a modern key, with elegant design and minimalist styling very much to the fore. 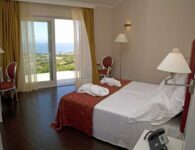 Book now your holiday at the Bajaloglia Resort. Save from 10 to 15%; if you choice prepayment save until 27%. 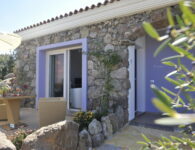 Book now your Easter’s holiday at the Bajaloglia Resort. 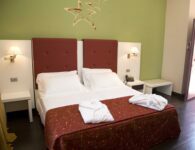 From € 350,00 for two people.